US computer chip giant Intel has agreed to buy Israeli car technology firm Mobileye in a deal worth more than $15 billion (14 billion euros), the companies said in a statement on Monday. Israeli media reported that the deal was the largest ever acquisition for an Israeli tech firm. Intel and Mobileye have been collaborating with German automaker BMW to develop self-driving cars. The statement said the deal was worth approximately $15.3 billion. "The combination is expected to accelerate innovation for the automotive industry and position Intel as a leading technology provider in the fast-growing market for highly and fully autonomous vehicles," it said. "Intel estimates the vehicle systems, data and services market opportunity to be up to $70 billion by 2030." Last year, BMW announced that it was joining forces with Mobileye and Intel on a self-drive project for "highly and fully automated driving" to be commercially available by 2021. BMW announced in January it would deploy 40 self-driving vehicles for tests in the United States and Europe. In August, Mobileye and UK-based auto-equipment maker Delphi said they were teaming up to develop an autonomous driving system which would be ready for vehicle-makers in 2019. Mobileye, which also develops systems for accident avoidance, has concluded an agreement with Volkswagen on road data technology as well. The Israeli firm was founded in 1999. 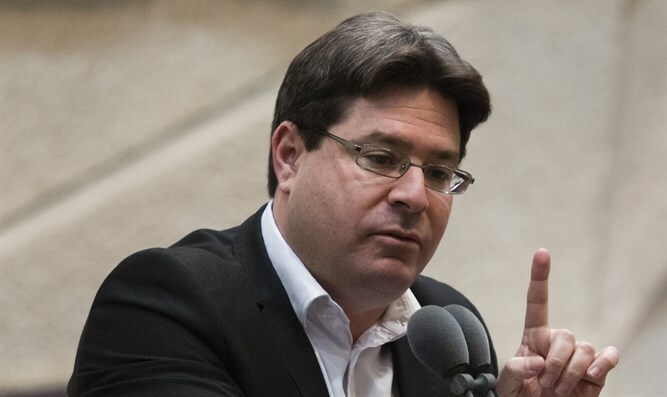 Science, Technology and Space Minister Ofir Akunis (Likud) said, "Israel is a powerhouse of knowledge, technology, and innovation. "The fact that these international giants see potential in Israel and are always looking to buy successful companies in their field, is a source of pride for Israel. This shows how strong Israel's technology industry is. "I am sure we will continue to be a pioneering country, which the countries of the world look at and admire," he said.